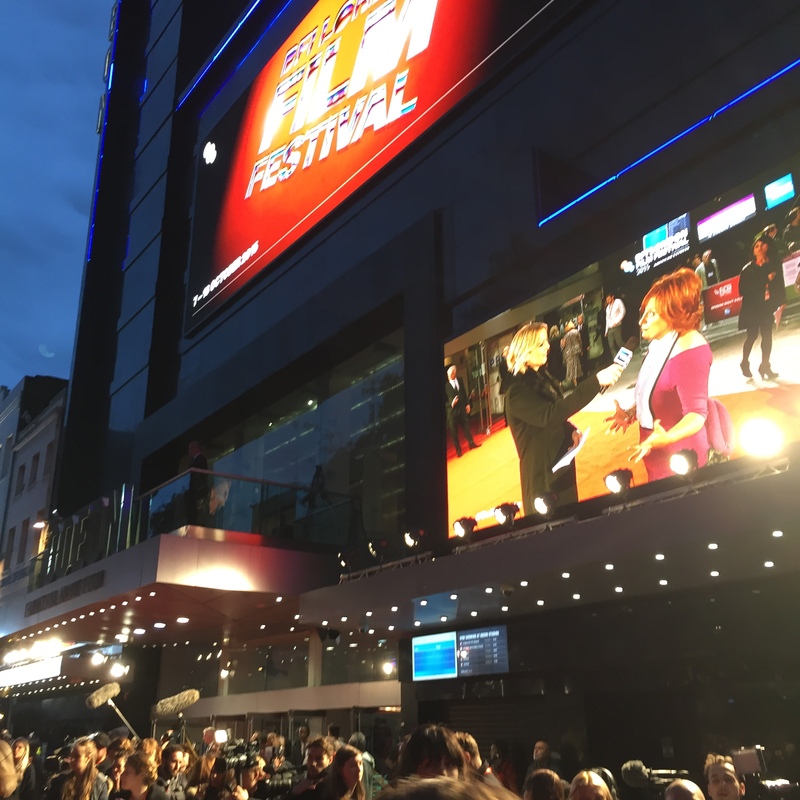 A view from the red carpet at the BFI London Film Festival 2015. As famous slogans go, it’s a pretty spectacular one to base your film on. In Suffragette, Abi Morgan has put the bite in soundbite, stitching together a stomach-clenching script in which each scene has the punch of a powerful strapline and each stage is blisteringly, self-consciously, deliberately polemic. 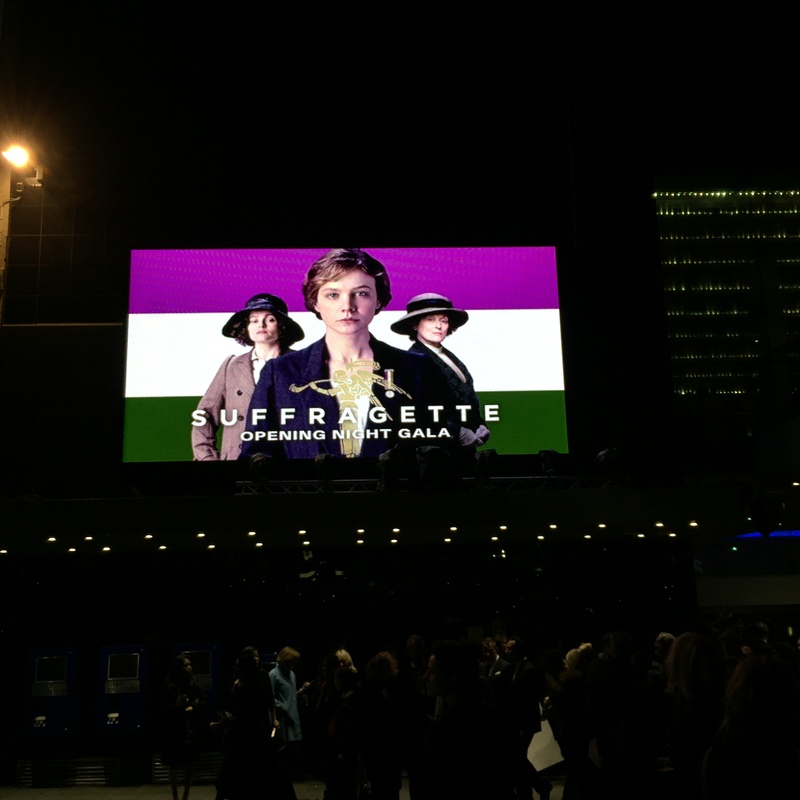 I felt Suffragette rather than watching it. The lense of a working class woman allows director Sarah Gavron – who has been working on bringing this story to the big screen for a decade – to show a real and specific human cost to activism. Opening in the laundry in which Maud Watts (Carey Mulligan) has spent her whole life, the film takes us on a journey of loss, each one worse than the last, unflinchingly spelling out the price of freedom, finally culminating in a pointed list of what is still to be won. Carey Mulligan quickly drifts in to say her thanks before heading off home to her infant child. It’s visceral, and it’s raw. 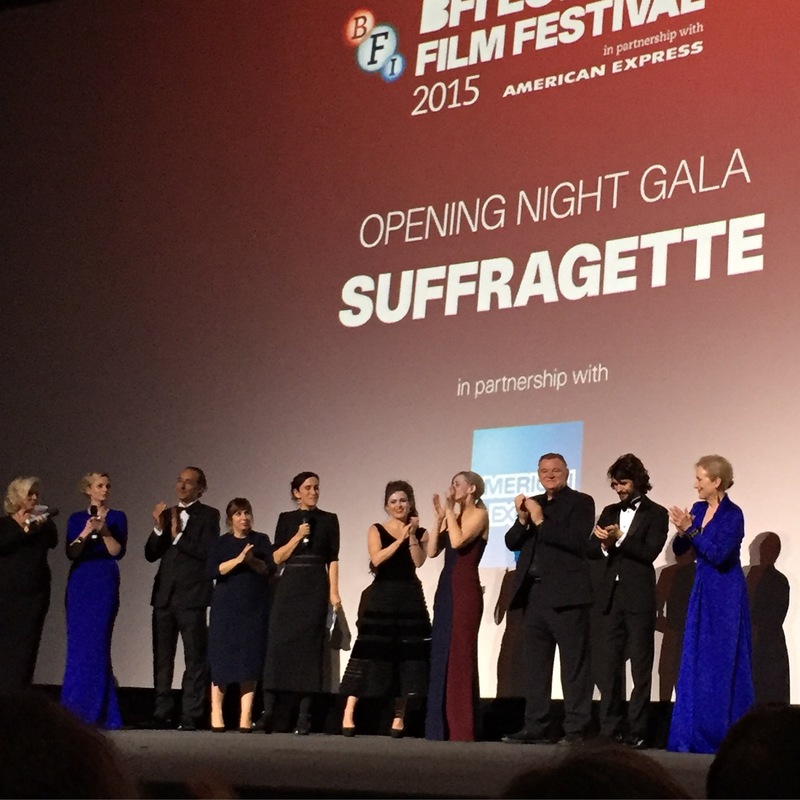 In many ways, it’s a film for people who are still wavering on the edge of feminism; for those who have been involved in the movement in any depth there are no surprises – from the brief appearance of Emmeline Pankhurst (a predictably wonderful Meryl Streep cameo) making a rabble-rousing speech to the horrifically inevitable force feeding scene. For those who are already engaged the power of the film lies both in the film’s very existence and in the sympathetic, complex and interesting performances, in which both Mulligan and Anne-Marie Duff shine, ably supported in an unusually but very effectively understated performance from Helena Bonham Carter as Edith Ellyn (an amalgam of various real-life figures). Cast and crew including Sarah Gavron, Abi Morgan, Helena Bonham Carter, Anne-Marie Duff, Brendan Gleeson, Ben Whishaw and the queenly Meryl Streep. It’s worth noting that the male cast are not abandoned to be patriarchal stereotypes but each of the key characters – dogged policeman Steed (Brendan Gleeson) and Maud’s conflicted husband Sonny (Ben Whishaw) – represent the way in which apparently ‘good’ men can support oppression through a misguided cyncism, fear or shame. They are not one-dimensional villains (though there is at least one appalling figure in the form of abusive laundry manager Mr Taylor), but conflicted and authentic individuals – a creative choice that in turn prevents the women that are the clear and present beating heart of this film from being sidelined into just mouthpieces for slogans. Heather Stewart – in a weirdly wonderful Suffrage-inspired dress – delivers some home truths about representation in the industry. I’d been so excited to see this for so long that I didn’t realise fully how strong the impact would be. Seeing it in the context of the Opening Gala of the 59th BFI London Film Festival – keeping that American Express card forever – meant emotions were running high even before the opening credits. 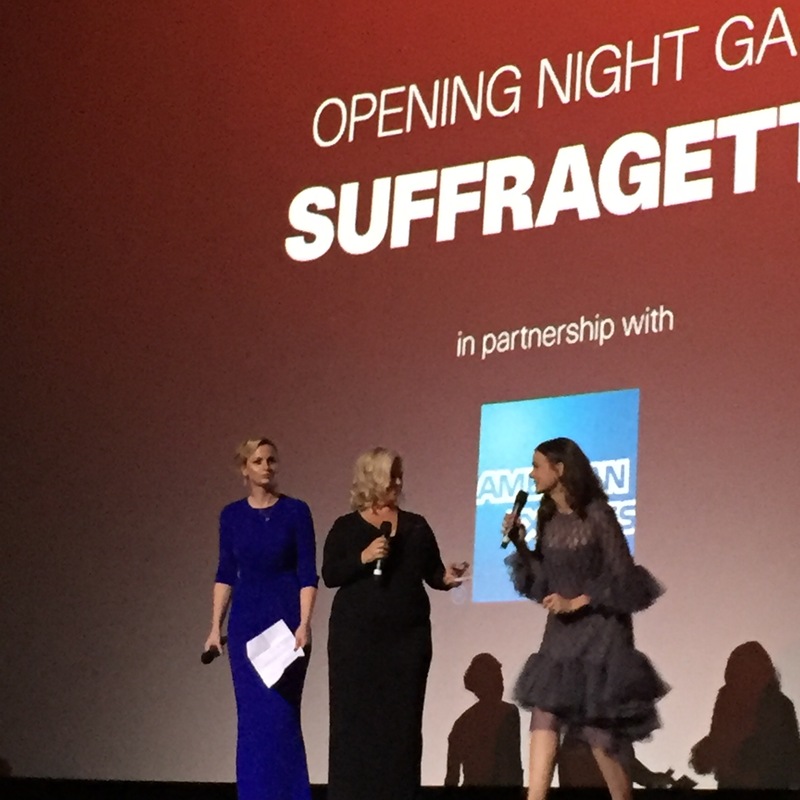 A biting speech about the relative lack of representation for women in film from BFI Creative Director Heather Stewart set the tone – around 20% of the films showing over the next 10 days are directed by women, which also represents the balance submitted for consideration. The thing is, women already know that women love films, watch films, spend money on films and want to make films. The message to the industry has got to be that films like this succeed, make money and have an audience way beyond some perceived niche. Better yet, given what a powerful and stunningly moving film this is, we don’t have to fake it to make it. We can throw our weight behind filmmaking like this with pride. Suffragette is on general release from Monday 15th October. No disclosure: I attended in my own capacity as a BFI Member. And because I’m an enormous nerd, I wore green and white with purple eyeshadow. Thoughts on Trumbo and High-Rise now added. 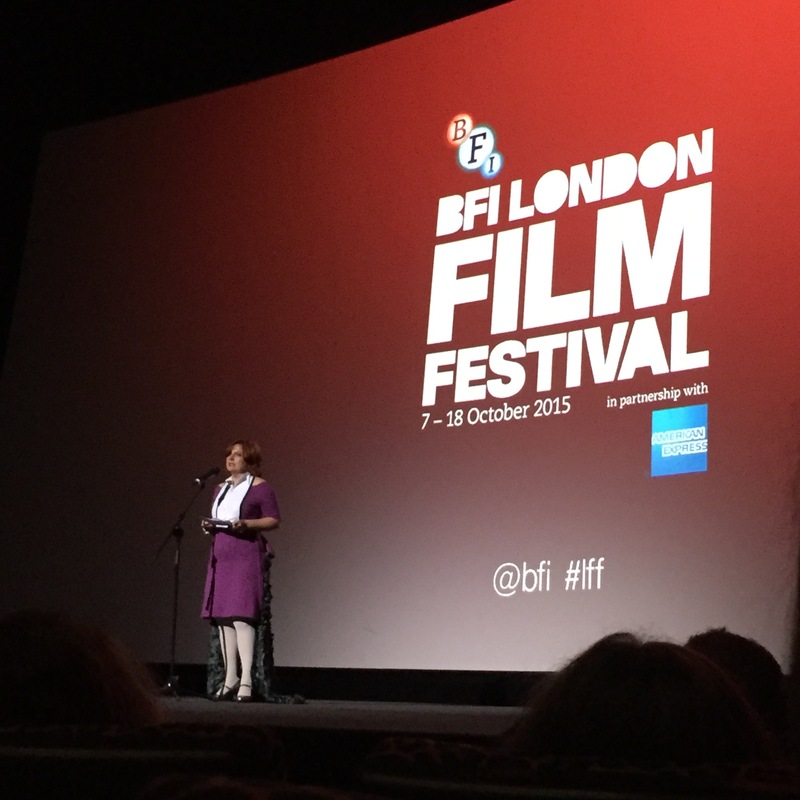 See the program and get tickets for further #LFF events here.